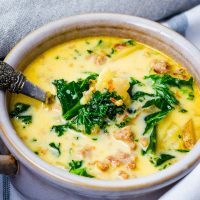 When the weather starts to cool off there is something about a nice bowl of soup! It’s full of comfort and warmth and just does the body good. 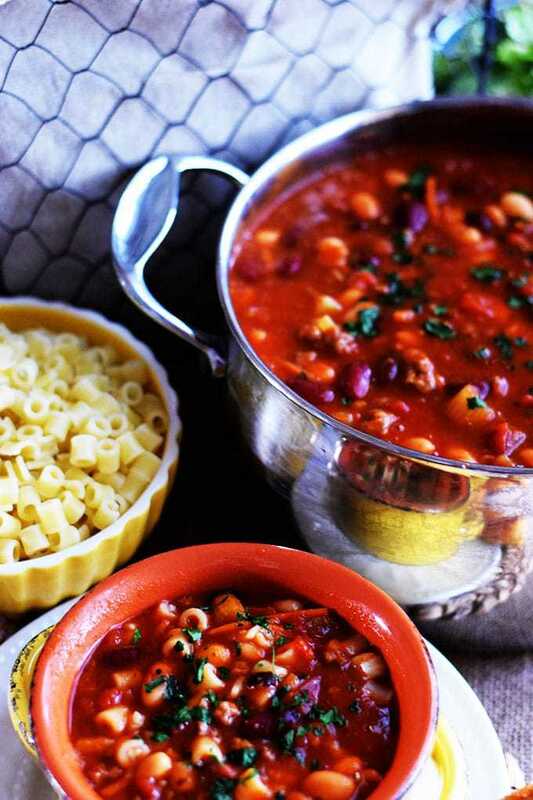 This Pasta Fagioli Soup is nice and meaty while balanced out with delicious beans, veggies and topped off with pasta! This is another family favorite. It’s that time of year when comfort food is at the top of the list. Who doesn’t love comfort all the time really!! 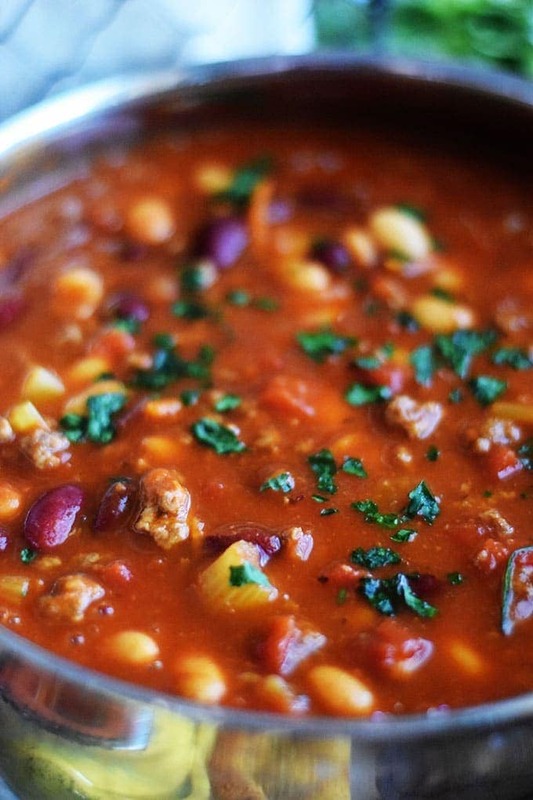 But soups and chili just seem to be cooking up in my kitchen more often this time of year. What about you?? Do you have a favorite? 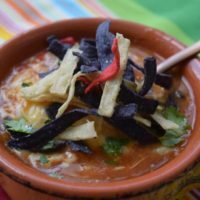 A go to soup or chili recipe you can’t live without?? Not to mention this is one of the only ways I can get my son to eat beans. Anyone else have a picky eater (mine is only to veggies and beans)?? He seems to think even at 17 he doesn’t like them. But the kid loves sushi – go figure!! Anyway in this he will eat them, so momma is happy about that! Another reason to love this one! Most of these items are in my pantry with the exception for of the V8 Juice. I grab those in small cans so the don’t go bad. We usually have this a couple of times so I don’t waste it! 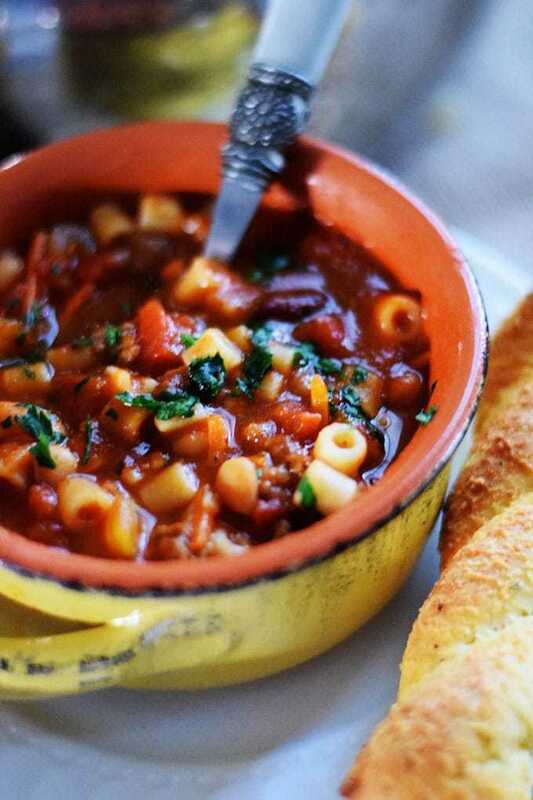 Tip – Once you get this soup almost done put on the pasta. Now, I like to keep my pasta separate and spoon into bowls as they are served. This way the pasta doesn’t bulk up. Stays nice and perfect for each and every bowl! Garnish with some fresh parsley and Parmesan cheese!! Mmmmmmm Good! Oh and don’t forget the bread sticks to dip in that soup! Add remaining ingredients, except pasta and simmer for 1 hour. Or in the slow Cooker on high for 2 to 4 hours or low for 4 to 8 hours. About 10 minutes before serving, cook pasta in 1 1/2 quarts of boiling water over high heat. Cook for 9-10 minutes or just until pasta is al dente, drain. I like to keep the pasta separate and add to each bowl of soup but you can add pasta to the large pot of soup. If you do add it Simmer for 5 - 10 minutes and serve! You can also find this over at Meal Plan Monday and Weekend Potluck. I am loving this soup. I haven’t had it before, but it looks amazing, and I know my husband would love it too! Thanks so much for sharing at Celebrate It! Thank you Teri! And thank you for hosting Celebrate It! It’s alwasy so much fun to share recipes! I hope you enjoy it! We love this one at my house! 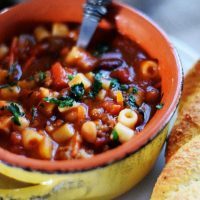 I love pasta fagioli! Looks like a good bowl of it. Nikki, I need a big bowl of this right this minute! Pinning and Tweeting. 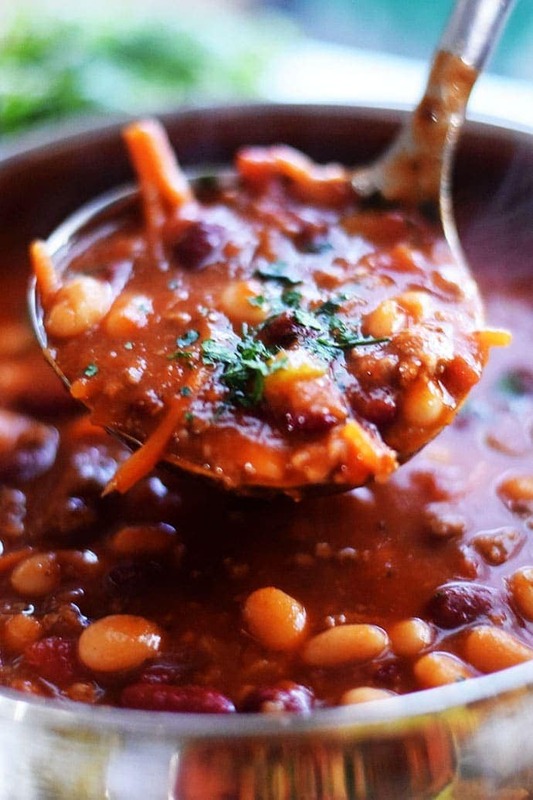 Looks like such a comforting, filling bowl! 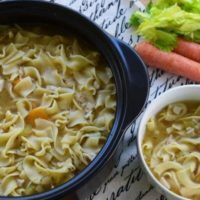 I’ve always heard such great things about this soup, but I’ve never made it! I think the kidney beans kept me away, but I could just double up on the great northern beans. I have a feeling it will become part of our regular rotation!! It’s very flavorful! Just change out the beans for ones you love! If you like a little spice throw in some red pepper too! I hope you love it! You are going to make me go grocery shopping!!! 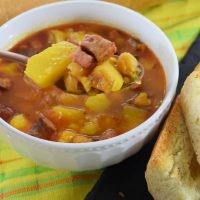 This is my favorite soup and never knew how to make it. So I guess now that I do, I have no excuse!! Thanks for sharing!! I keep the ingredients on hand for the soup! It’s really delicious. Very close to Olive Gardens! Lisa it’s very easy and worth making at home!